Honor cords are a wonderful way to recognize students for their particular academic achievements leading up to graduation. The Science National Honor Society, or Science NHS, provides students with special recognition for their high school achievements in science. The Science NHS honor cords appear in a green, gold, and purple braided double cord with gold tassels, and represents the graduate's ability to meet the requirements of the honor society throughout their junior and senior years. We do not currently carry the necessary honor cords to award Science National Honor Society student members, but please continue to check our website, or contact us directly, and we will try our best to assist you. In order to qualify for a graduation cord from the Science National Honor Society, students must meet rigorous requirements, such as maintaining a high grade point average,	participating in upper-level science courses in their junior and senior years of high school, and attending annual lectures for the Science NHS. When you offer your students	a Science NHS honor cord, you include them in the tradition of professionalism, honor, and hard work that embodies the honor society, and invite them to continue to grow and develop in their study of science, or wherever their futures may take them. The SNHS is also open to students who are homeschooled, so feel bear that in mind as you decide which of our homeschool honor cords to purchase. The Science NHS graduation cord will add a subtle hint of color to the traditional black or white commencement robes, giving your students a sense of quiet dignity throughout graduation. 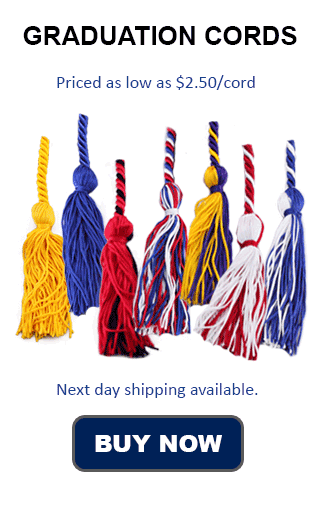 Science NHS honor cords provide the perfect finishing touch for your commencement exercises, and are sure to bring a new level of pride an excitement to your graduates as they participate in the celebration of their completion of high school. Students will cherish their Science National Honor Society honor cords as a memento of their high school commencement, and look back on their academic experiences with fondness and pride.